Is it a snow day where you live? Even if it doesn't look like a winter wonderland outside of your window, you could probably use a warming bowl of something, right? 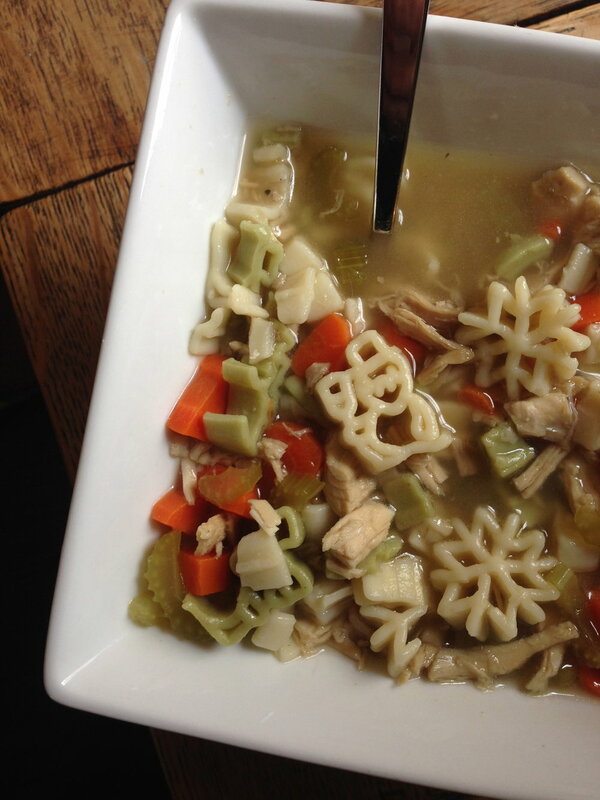 I'm currently slurping down a bowl of homemade turkey noodle soup that I threw together yesterday (I even made the turkey stock, thank you very much) complete with fun winter shaped pasta. I figured I'd share some of my favorite cold-weather friendly recipes and a few I'm planning to try. Stay warm and eat well! !